When I was quite young, my family lived in the south of England, only a short distance from the beach, where we were lucky enough to have a beach hut. I suspect at that time these huts did not cost the vast amounts of money they do now, as my family was not at all wealthy. My memory travelled back to the time when after school, my friends and I would cycle to the beach, staying as long as we could until hunger won out and we had to go home for our meal. The best times though were when my mum would be at the beach to meet me with a picnic. She is now 96 years old and unfortunately doesn’t remember these good times. As this memory is of my early years, I have kept the design quite naive and unsophisticated. 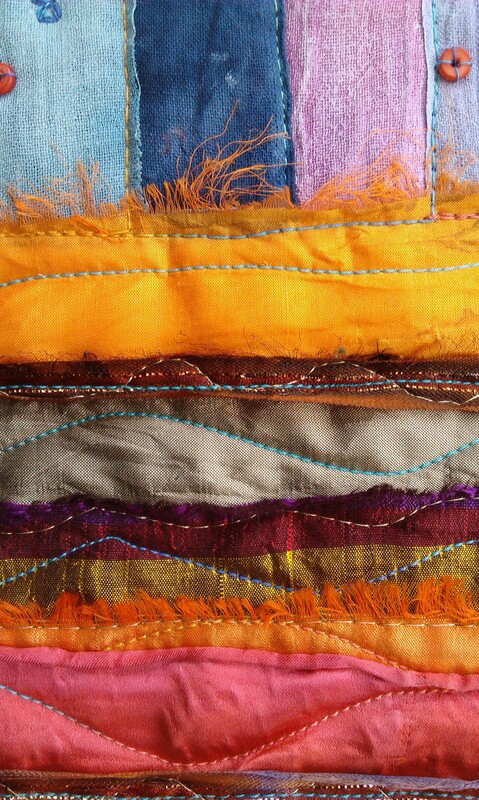 I can’t decide whether I enjoyed doing the quilt so much because of the memory it evoked, or if it was the use of such bright and joyful coloured fabrics, either way, it felt good and I very much enjoy the process of working through our themes. Margaret, I’ve never been to the British sea-side, but your memories piece brings it alive — all cheerful candy-colour, sunshine, blue sky and warm sand. Thank you! 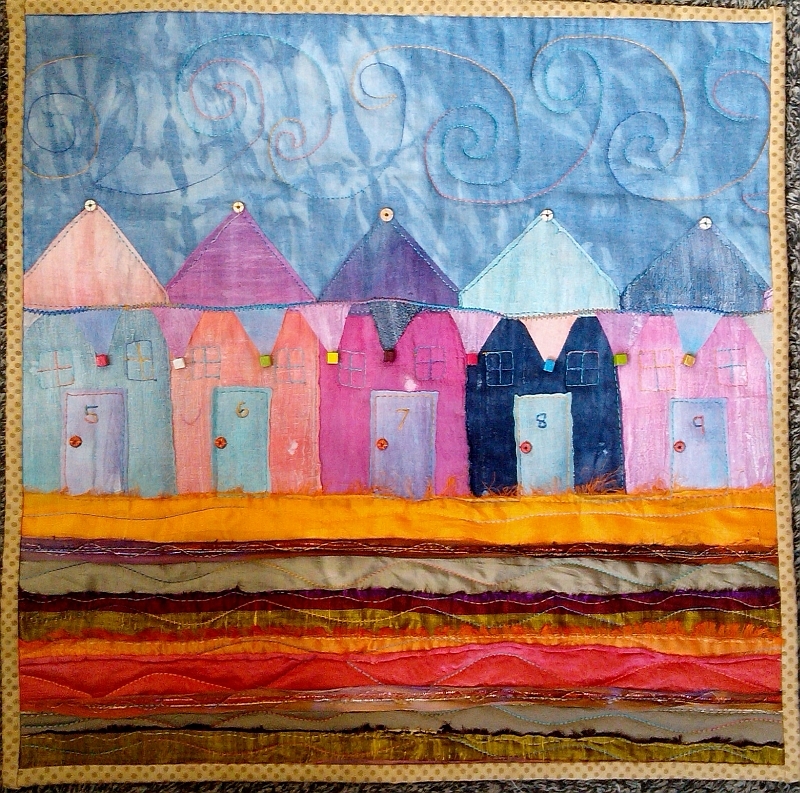 Memories of days at the beach, this is such a colourful quilt and your technique for the beach offsets the wonderful beach huts..lost of memories here. I’ve glanced thru your work and it really speaks to me. I’ll come back to look more carefully.